Set back from the street is this stunning and unique newer home with the large rooms youve been looking for. Discerning buyers will fall in love with the quality of the design & expansive living areas. Close to Rt. 3, just over the Hanover line. Hardwood flooring throughout main level which includes a gorgeous fireplaced front 2 back great room open to the kitchen with doors from both to the deck. 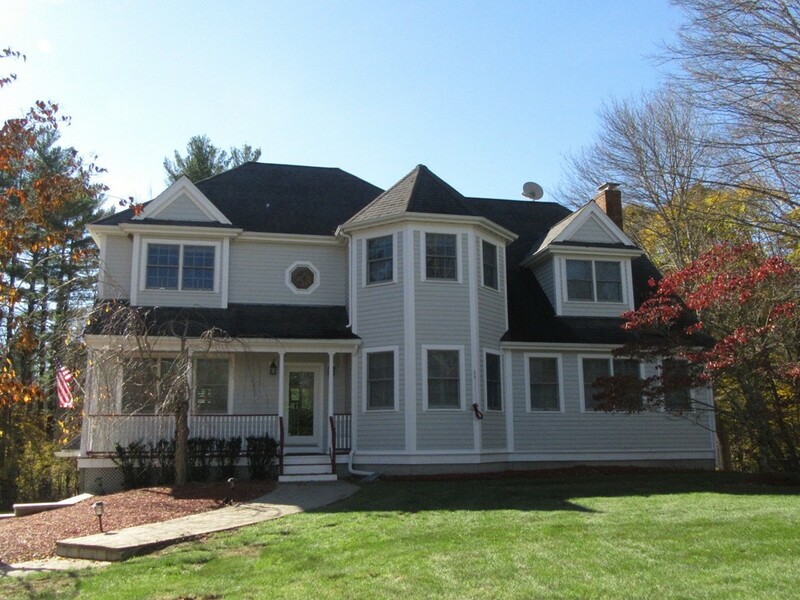 Formal dining and living rooms, office, 2 story foyer, farmers porch, 2 story bow windows with turret roof. bath, 2 pantries, laundry complete the main level. Space, beauty, and conveniences at every turn. Oversized 2 tier back deck overlooks nature on one end and plush yard on the other. 4 bedrooms upstairs including a palatial master suite, complete with giant master bath and abundance of walk-in closets youve dreamed of!